Learning about environmental conservation and a sustainable lifestyle is paramount these days. 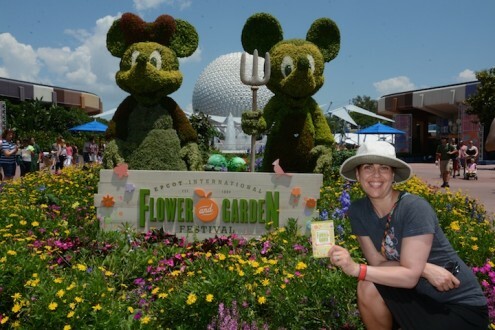 Fortunately, the creative folks at Walt Disney World have found a way to teach some excellent lessons in sustainable education at Epcot’s annual Flower and Garden Festival in a way that is fun and engaging for parents and kids alike. The Walt Disney Company has had a longtime commitment to conservation and Walt Disney himself was well known for his passion for the natural world. Presently, Disney’s current partnerships with organizations like the National Wildlife Federation, The Nature Conservancy and The National Parks Foundation focus on helping children to develop a passion for nature—and for its preservation. It’s a simple fact that when people love something, they want to protect it. By promoting environmental stewardship and authentic nature experiences in its parks, the Walt Disney Company is encouraging kids and their families to do exactly that. 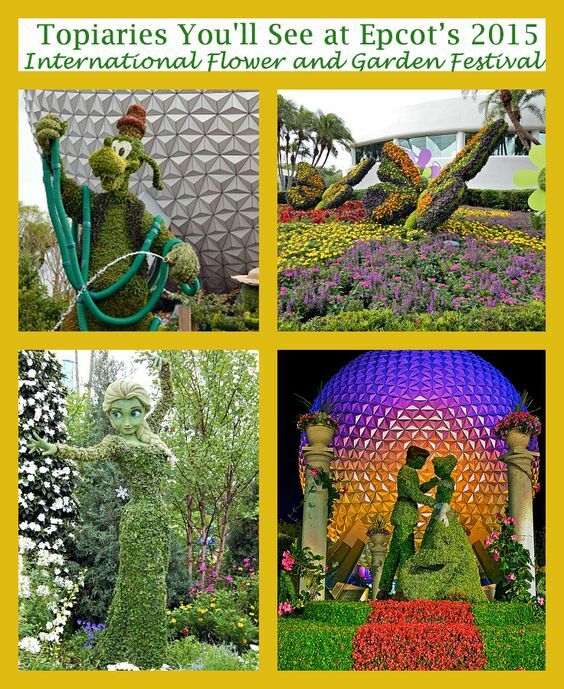 One of the events where environmental education takes center stage is at Walt Disney World’s annual Flower and Garden Festival in Epcot. Throughout the festival, families have the opportunity to learn important lessons in sustainable practices that they can easily incorporate into their everyday lives—with a bit of Disney magic sprinkled on top. In the lush Urban Farm Eats garden, we learn that endless acreage is not required to bring farm-to-fork flavor to your table. The creative growing techniques on display—from planting within the confines of pallets, orange crates and hay bales—to lessons in keeping backyard chickens to incorporating xeriscaping and native plants in the garden to reduce the need for watering, Urban Farm Eats is a bounty of inspiration right in Epcot. A barrel collects rainwater for nourishing thirsty plants while garden clippings and kitchen scraps are composted into the rich fertilizer. It’s easy to see how these simple techniques can be put into practice in even the smallest of green spaces. In conjunction with The National Wildlife Federation, families get a look at several ways their yards can become more inviting to invite critters like toads, birds, and butterflies. Protected feeders, nectar-rich flowers, a birdbath, or an upturned flowerpot is sometimes all it takes to encourage wildlife to take up residence. Just a few simple steps can create a safe and nurturing environment that provides wildlife with food, water and shelter and can turn a backyard—or even just a patio or balcony—into a happy habitat that helps to sustain future generations of wild creatures. Winnie the Pooh, with his passion for honey, is the spokes-bear on behalf of the world’s all-important pollinators and a beautiful topiary depicting Christopher Robin’s sweet friend stands guard over a lush array of dazzling blooms. Brightly colored flowers like butterfly weed (Asclepias tuberosa), Lantana, Sunflowers and Tickseed (Coreopsis) blanket the beds while bees and butterflies zoom from blossom to blossom. Signage encourages limiting pesticides and incorporating nectar-rich plantings to help attract these beneficial insects to the garden, explaining the essential role of pollinators in the growing of food. Getting outside to explore nature or to simply muck about being a kid has long been a passion of mine as the “Unplugged” traveling mom. For that reason, the Nature Conservancy’s Nature Rocks! exhibit, in conjunction with its Let’s Go Explore campaign, is one of my favorites at the festival. In an age in which kids spend far more time immersed in their electronics than building backyard forts or making mud pies, Nature Rocks encourages kids to simply go outside and play—something that used to take no prompting at all. With a little creativity, and a bit of support and encouragement from parents, kids will quickly see that there’s plenty of free-range fun to be had outdoors. All of this learning can make people hungry and the festival’s Fresh Epcot outdoor kitchens cook up unique ways to experience fresh produce and new flavors. Thirteen kiosks located throughout the World Showcase county pavilions offer up small plates of field-to-fork fare. One plate makes for a perfect snack though a visitor could easily make a full meal by sampling dishes at each marketplace. Many of the menu items are specific to a specific region’s gastronomical traditions—two favorites were the duck confit with parsleyed potatoes in the France pavilion and the Tacos al Pastor in Mexico. Others, like the Florida Fresh kiosk, turn local ingredients into savory concoctions—their shrimp with stone ground grits accompanied by a flight of local beers was particularly delicious. The goal of educating for sustainability is to help people to start thinking more ecologically while understanding the essential relationship between humans and nature. Epcot’s Flower and Garden Festival has taken a huge step in the direction of making this goal a reality. 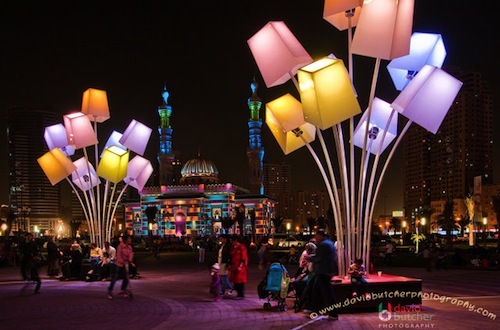 Why Should You Head to the Philadelphia Flower Show?